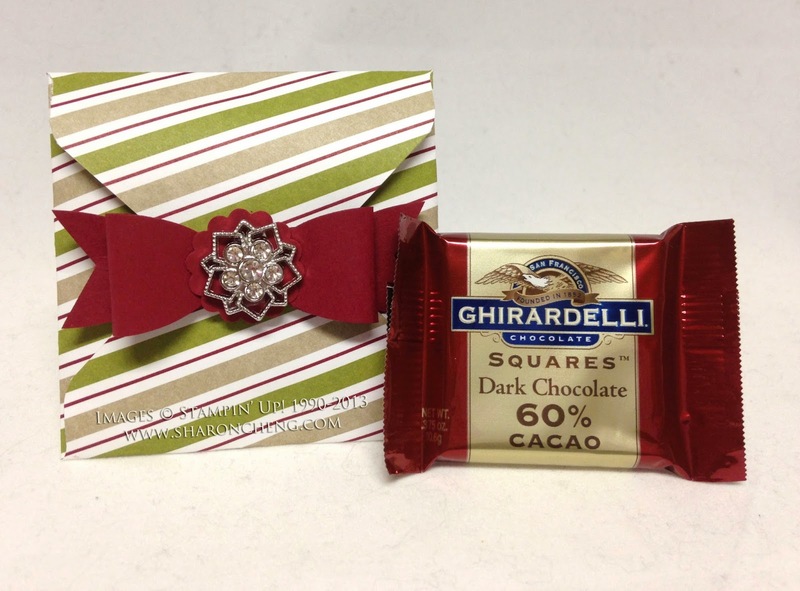 This Envelope Favor is a stocking stuffer that is quick and perfect for sharing a piece of chocolate! Stampin' Up! 's envelope punch board is one of the tools that makes this project go quickly. The envelope is made with a piece of 5" x 5" Designer Series Paper. Punch and score at 2 1/2" on all four sides. Remember to round off the corner on the top flap of your envelope. I prefer envelopes that can be opened and closed. The modern label punch is how the envelope flap stays closed. 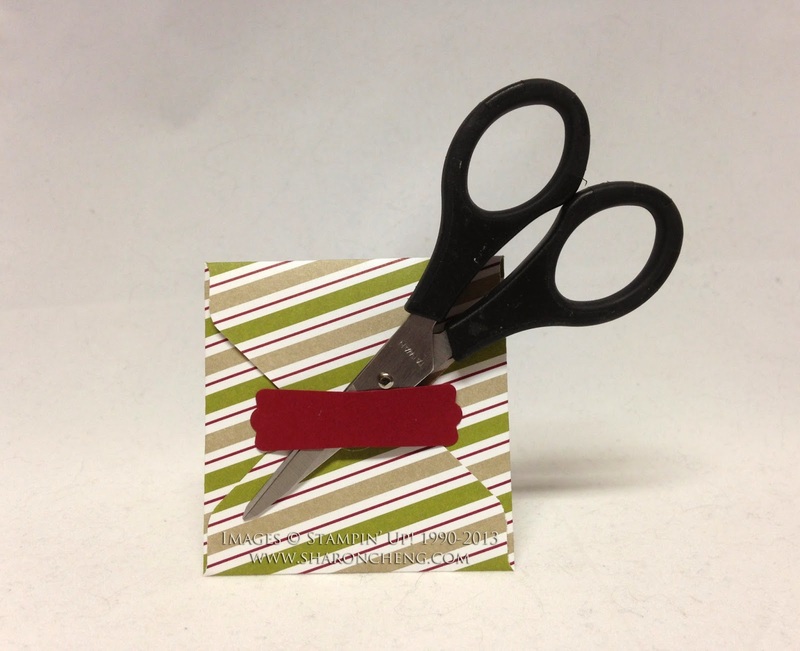 Be sure to only put adhesive on the sides so you can open and close the envelope. The bow is made using the large oval punch. Here is the free tutorial. I'm looking forward to changing this project to fit other occasions. Wouldn't it be a great for a wedding reception or Valentine's Day. Now, I am off to make a lot more of these for last minute gifts! Added 4/5/2014: Video Tutorial to make your Envelope Favor. To see more 3D Favors, follow my Pinterest Board.